Monasteries receive a wide variety of visitors and guests, the majority of whom come to experience something of the prayerfulness, peace and quiet of the place. For them a monastery is a place to re-group one’s resources to face life with hope and, we pray, with faith. Some visitors are just plain disoriented. One such visitor arrived a few days ago, without warning, and managed to enter into the monastic enclosure. This was not the normal run of visitor: it was a bird. 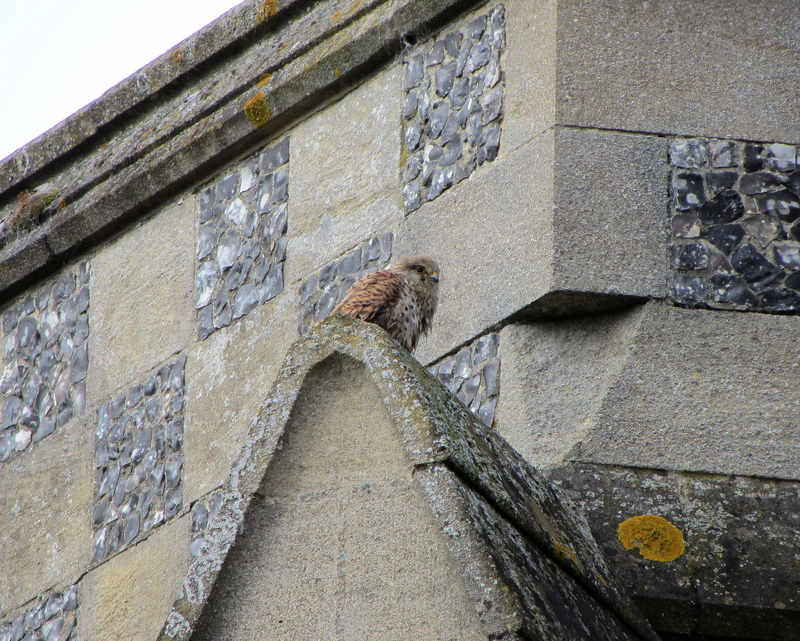 And it was not the normal run of bird: it was a young peregrine falcon. 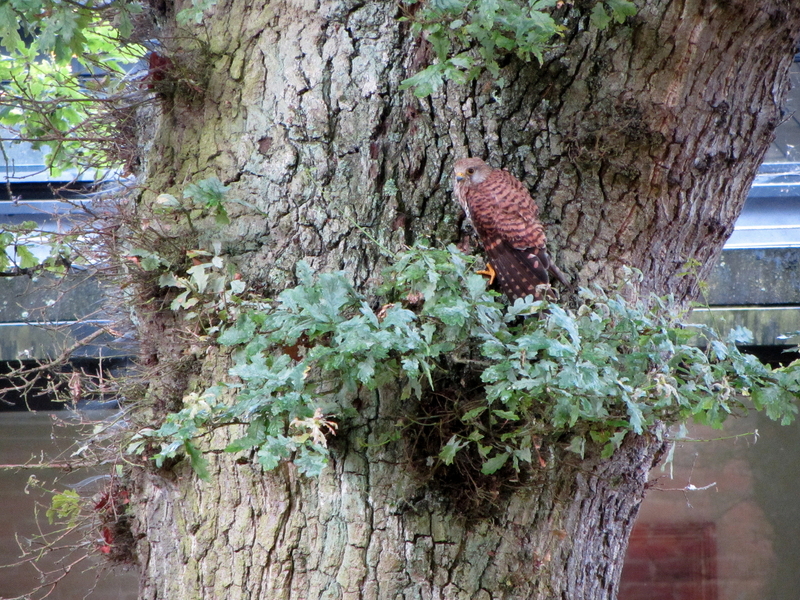 We have lots of red kites flying above the monastic grounds, but the falcon is a rare sight indeed. And to see one so close. 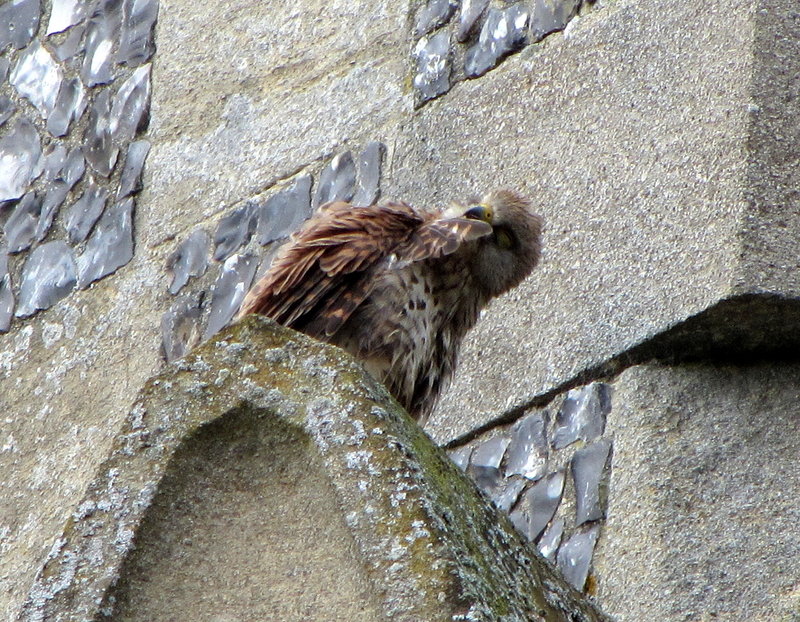 This one was a little out of sorts, and we speculated that perhaps this youngster had flown too low and hit one of the glass walls of our cloister, and so dazed itself. It very civilly remained long enough for me to run up and get my little camera for some quick snaps, for perhaps I might never again be so close to a peregrine falcon. As usual, photos will get bigger on being clicked with your mouse. Shelter in the refectory oak. Sick of us, it flew to the safety of the church. It is ruffling its feathers. Time for some remedial grooming. Nothing helps to regain composure like tidying oneself up a little. One last look before flying off. The peregrine is the fastest animal alive, 200 mph when diving. At that speed, one needs to pay more attention to the road. Hopefully this youngster learnt that lesson. When I was in seminary at St. Meinrad one day, I saw some commotion in a bush outside the abbey church. Birds werer attacking something. So I opened the bush and inside was a sparrow hawk, and the other birds were trying to drive it away. It had fallen from one of the bell towers where there was a family of them residing at the time. I started feeding it and it would come land on us if we held out our hands. One evening, some of the monks were outside and the bell rang for statio for vespers and they went in. But the door to the church was left open. As the statio passed the door “Pilch” stood in the doorway and observed them. Then he flew into the church an landed on the shelf in back of the organ console. From there he wandered back and forth on his feet. Then he jumped down onto the organist’s shoulder while he was playing! Someone removed him then. That was back in the ’70’s. 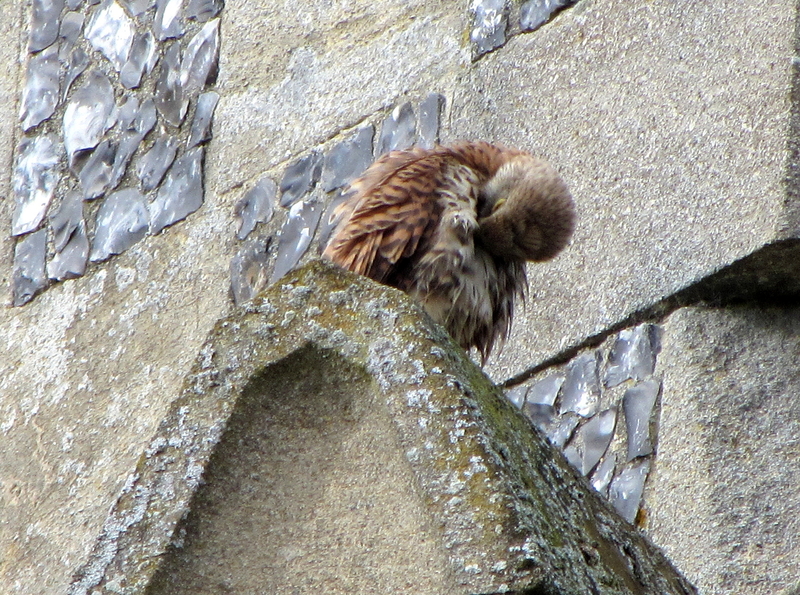 Hawks like our high monastic buildings to this day. What a wonderful story. 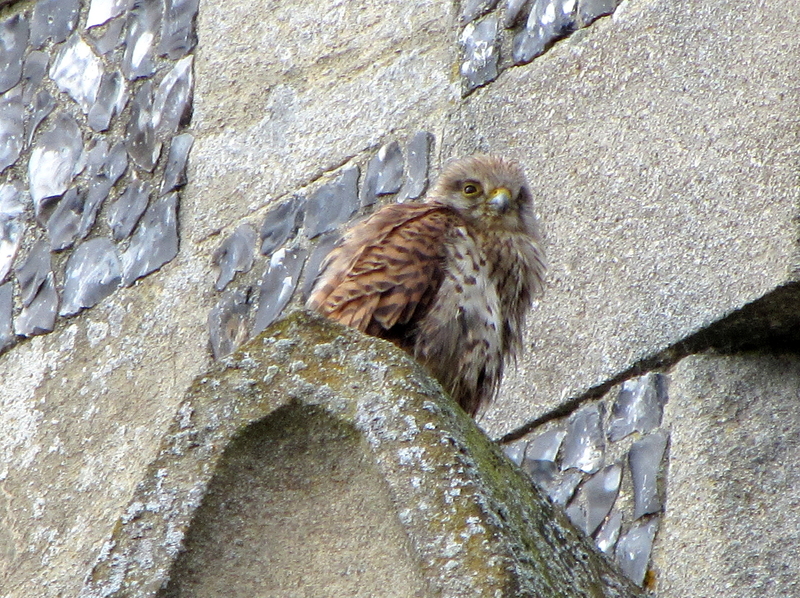 So there’s room for hawks as well as doves in the Church. Alleluia! Thank you Jannice! 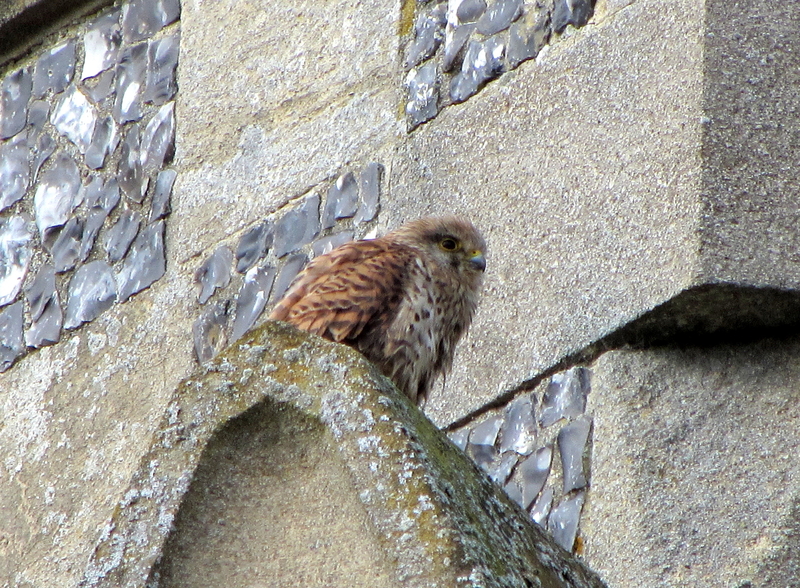 Someone on Facebook alerted me also to this not being a peregrine but a kestrel. When I went to Wikipedia after being told it was a peregrine, I must admit that the colours seemed quite different. Now I see why! 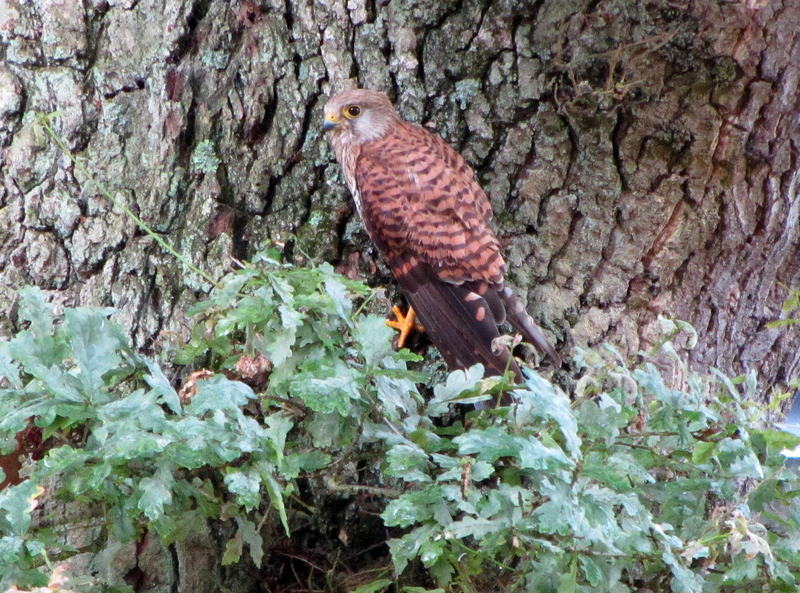 Still, it was as close as I have ever come to a kestrel, and they are an attractive bird indeed.